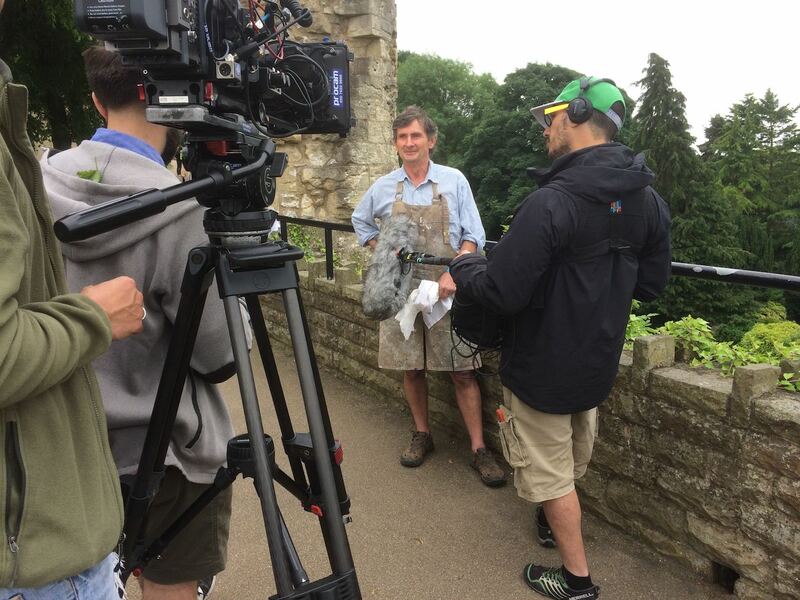 Michael Alford enjoys a private chat with Joan Bakewell during the filming of Landscape Artist of the Year 2017 on location in Knaresborough. 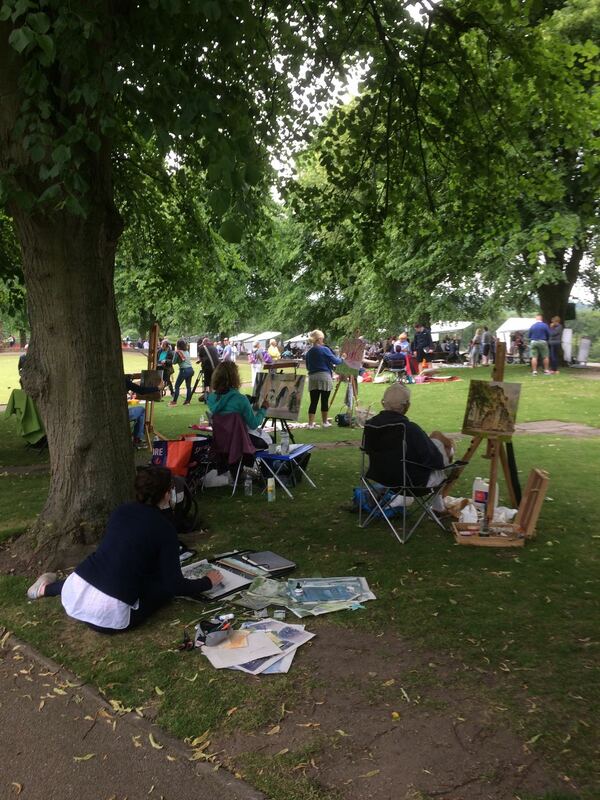 On a blustery day last June 2017, Michael Alford joined a field of eight fellow artists in Knaresborough, all vying for the prize of Landscape Artist of the Year 2017. In a race against time and the elements, they all painted the iconic view of Knaresborough viaduct—with radically different results. Praised by the judges and public, Michael was a finalist in his heat that day, but the winner was John Ball, who went on to the semi-final. The overall winner for LAOTY 2017 was Tom Voyce. But taking part is more than half the fun and being part of the show was a memorable experience for Michael. 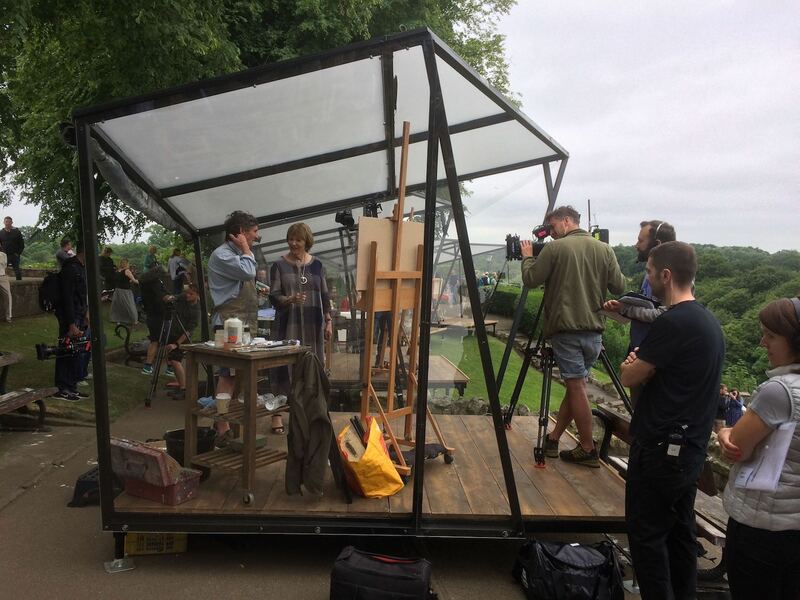 Tune in to watch him apply his formidable plein air painting skills. 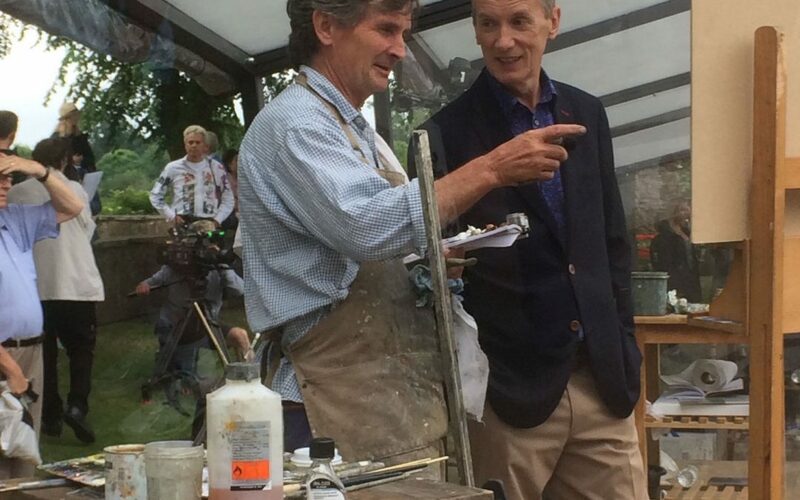 Hear him discuss his technique with presenters Frank Skinner and Joan Bakewell and learn some of the secrets behind the process of painting from life. Not a subscriber to Sky? Stream episodes of Landscape Artist of the Year 2017 with NowTV. Just act natural: Michael delivers a piece to camera. 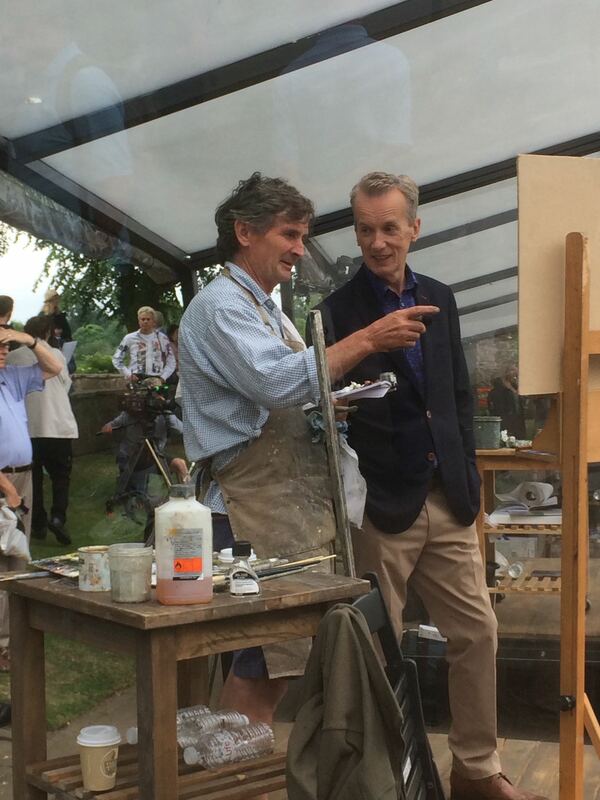 Frank Skinner gently quizzes Michael about his technique. The painters competing in LAOTY 2017 were excellent—but they didn’t have the monopoly on talent in Knaresborough. Some of the most original and challenging work was being done behind the scenes by the wildcards. Trailer for Sky Arts Landscape Artist of the Year 2017–with Michael Alford, squinting.